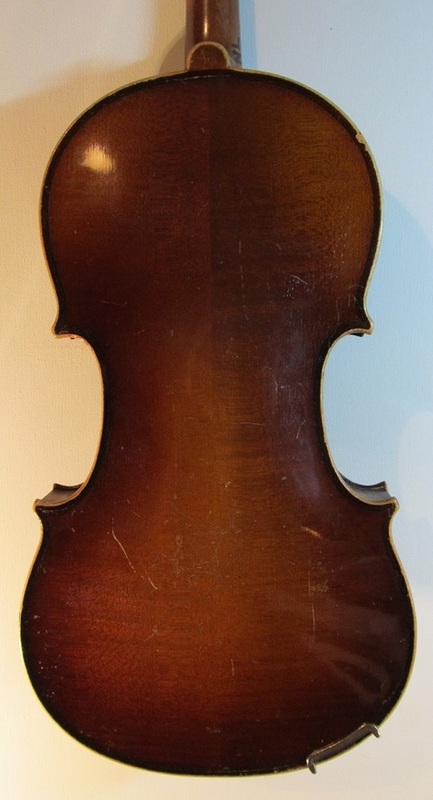 Czech violin, probably 1950s/60s, unlabelled. Someone has gone to town with scratching the belly underneath the bridge, but it looks worse than it is and is only as deep as the varnish. I have set this one up as economically as possible, and it has worked out well. It is easy to play and has a big, mature sound. 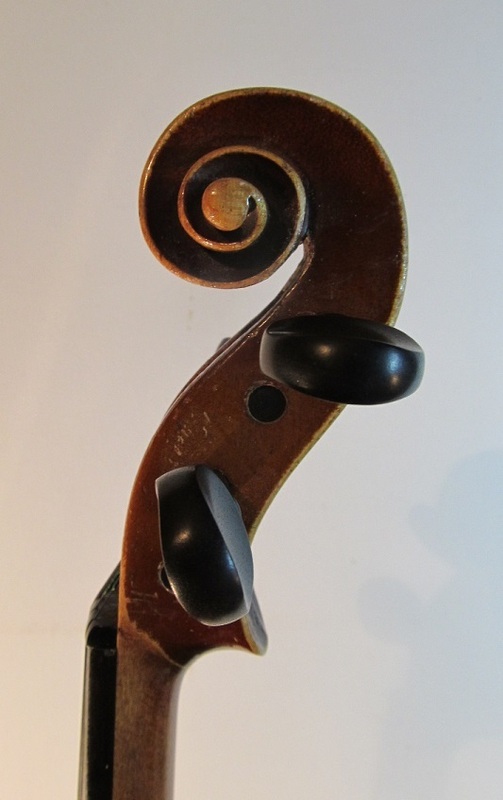 A good buy for a fiddler on a budget. 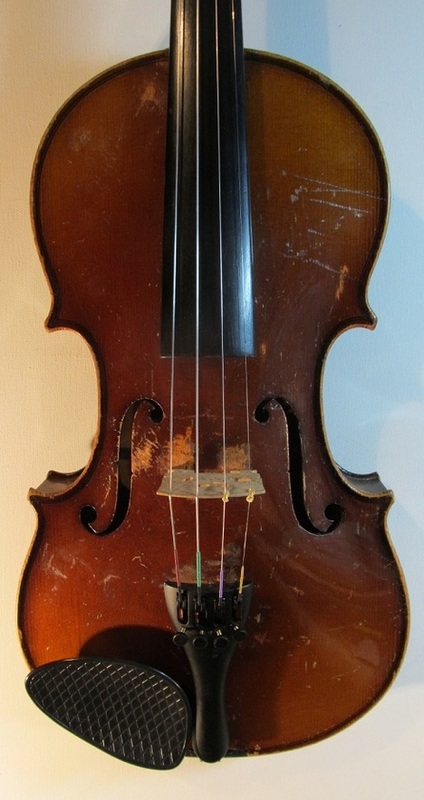 Condition: As you see - very badly scratched, but no structural damage - it is purely cosmetic. Set up: New ebony pegs. Recycled bridge. 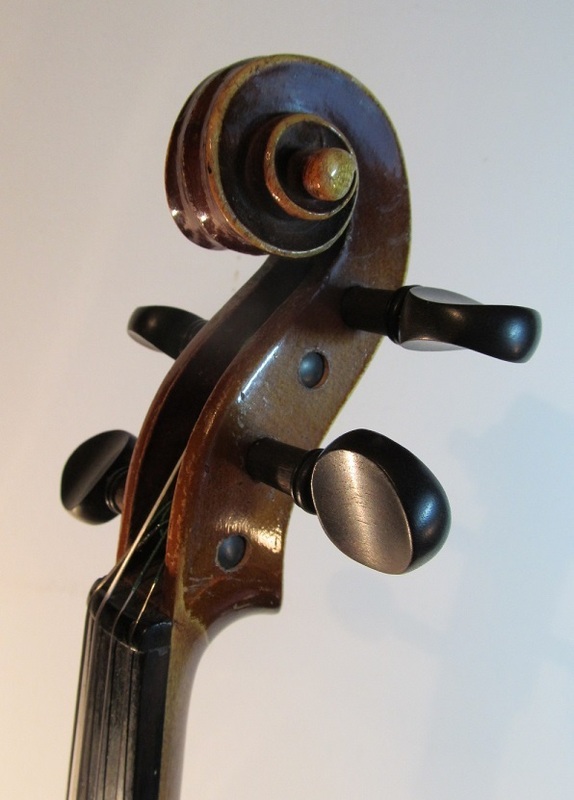 New tailpiece and Warchal Nefrit strings.